seaPro Performance Sailing has been designed for sailors who cruise or race and want to get more performance out of their yachts. 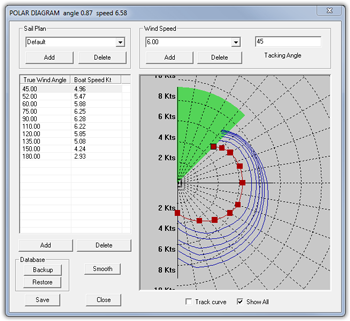 All the features of seaPro Standard and adding many features that enable you to sail faster, visual tools are provided including geographic wind direction, tacking angles and laylines, so you get the maximum information by simply looking at the screen. 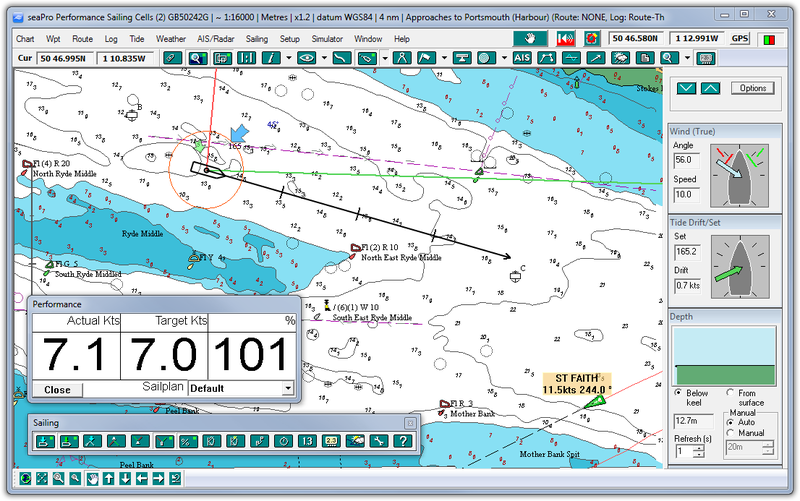 For yachts without expensive racing instrumentation, seaPro can provide information such as target boat speed, time to layline etc. Output is provided to interface to dedicated mast displays such as B&G, Silva, NKE and the wireless Tacktick system. True Geographic Wind - Show the' wind direction, in a perfect world this would be the same as the weather forecast (but it probably won't be !) - great for visualizing future tactics and wind shifts. Advanced Logging Features - High performance data logging of your instrument data, allowing monitoring and analysis of your sailing performance. Start Timer - Multiple start countdown timers can be displayed with audio start and warning signals. Start line position can also be overlaid on the screen. Performance Sailing generates and modifies your polar diagram automatically. 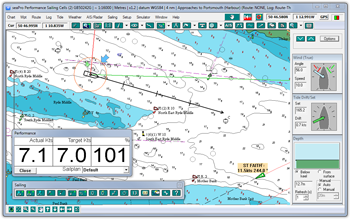 The up to date polar is used in the advanced weather routing to make best use of the predicted wind and tide. A low cost and more efficient way to display Navtex information. 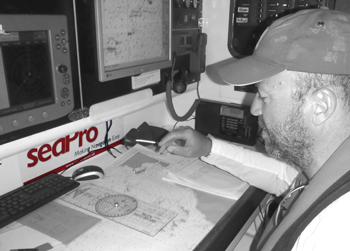 Simply purchase the dual frequency Navtex engine, then weather and safety information can be directly received and displayed in seaPro.